There is no other word for it: Jones Mekas is a legend. And he’s a legend who operates in many different circles. 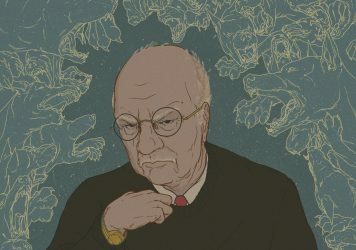 He’s one of the world’s great experimental filmmakers, with works such as the sublime Walden (Diaries, Notes, and Sketches) and Reminiscences of a Journey to Lithuania as part of a vaunted filmography. 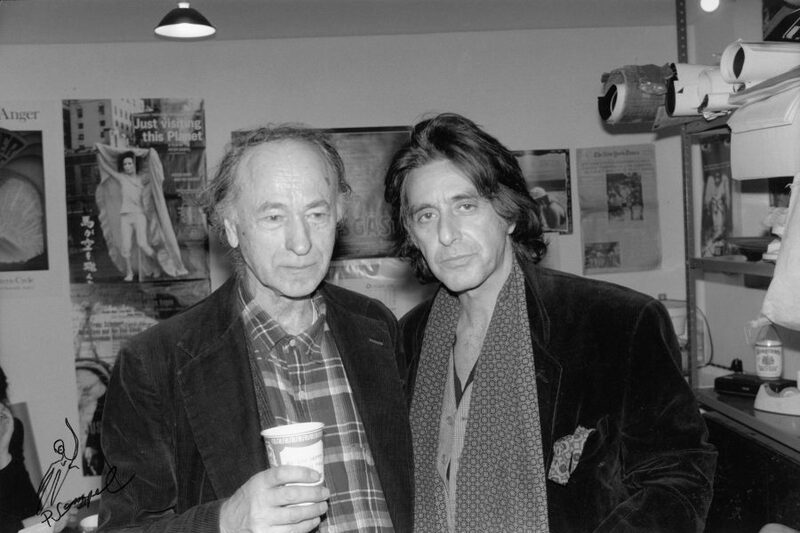 He was also a noted film critic, lending his redoubtable penmanship and fervent cinephilia to the pages of the Village Voice. But Mekas has also made a reputation for himself as a hoarder of personal affects and an archivist of the magically mundane. A new book by Anthology Editions, entitled ‘A Dance With Fred Astaire’, is an eccentric memoir powered by tall tales, amusing anecdotes, brief encounters and lots and lots of great photographs capturing each precious moment. The title refers to a moment where Mekas was invited by Yoko Ono to feature in a film called Imagine. When he arrived, he was told by Ono that he would be dancing with Fred Astaire. And he did. When his friend Ken Jacobs saw the film on TV, he noted that Mekas was actually more impressive than Astaire. The book is packed with such delightful tidbits. 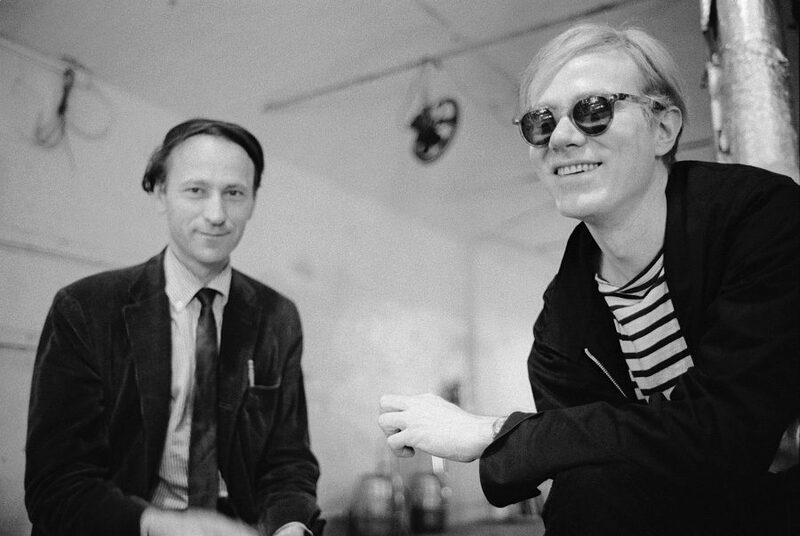 Mekas with his friend Andy Warhol taken at The Factory. It accompanies a bizarre story about a woman attempting to sell him a kiss-and-tell tale involving Warhol’s antics in Miami. 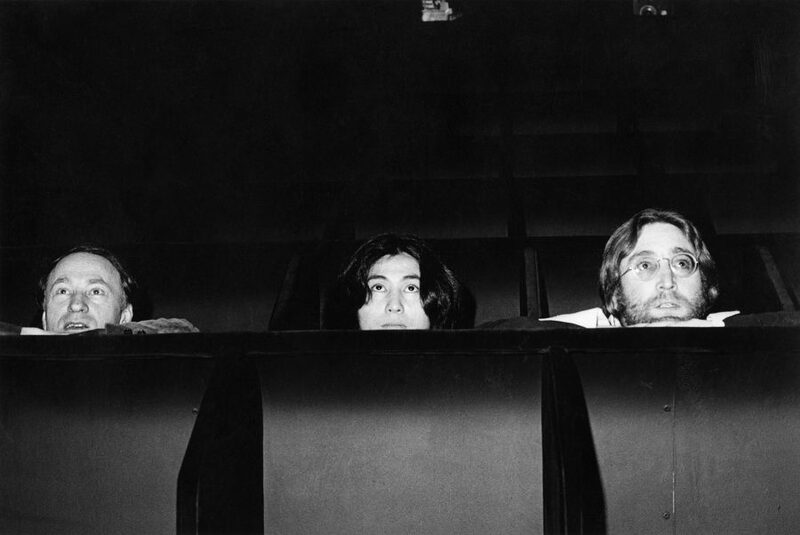 Mekas, Yoko Ono and John Lennon trying out their personalised seats in the Invisible Cinema at Anthology Film Archives, the New York rep house which Mekas also helps to programme. 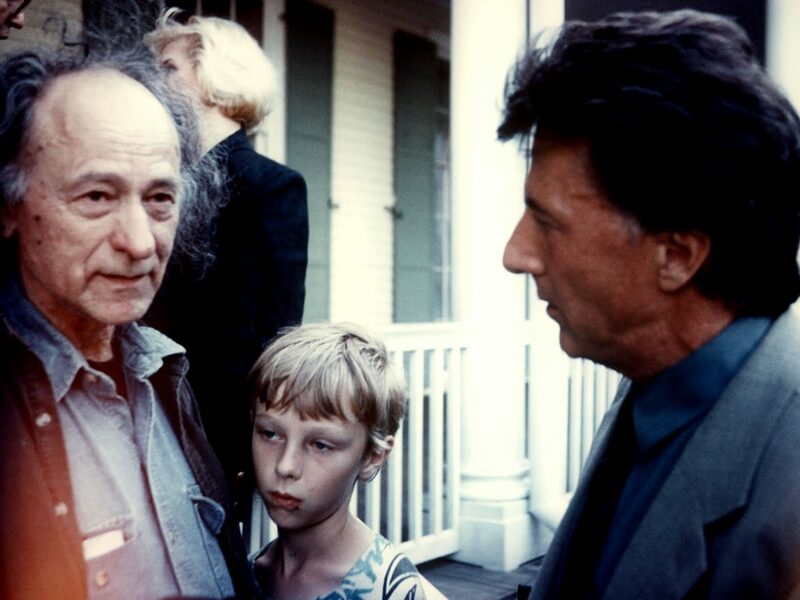 The author with Dustin Hoffman and his son, Sebastian Mekas. 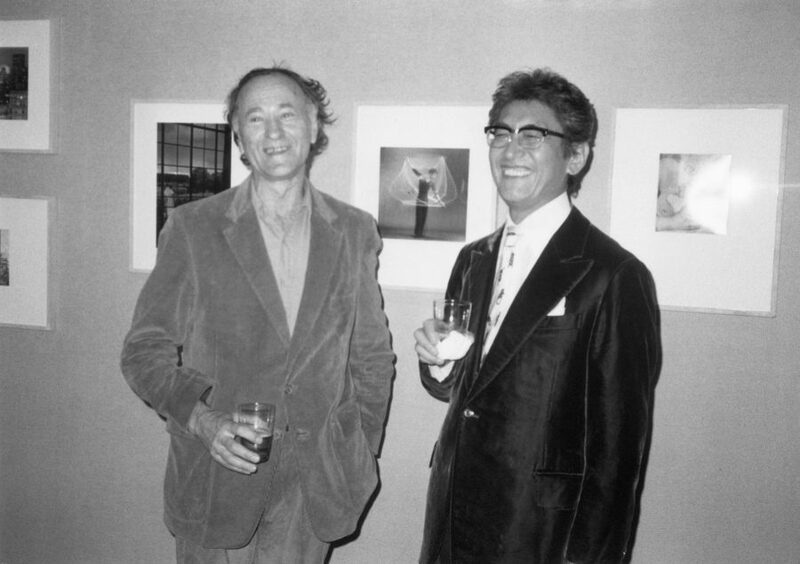 Nagisa Oshima, the great Japanese director behind In the Realm of the Senses and Merry Christmas, Mr Lawrence, shares a glass with Mekas at an art auction for the benefit of the Anthology Film Archives. 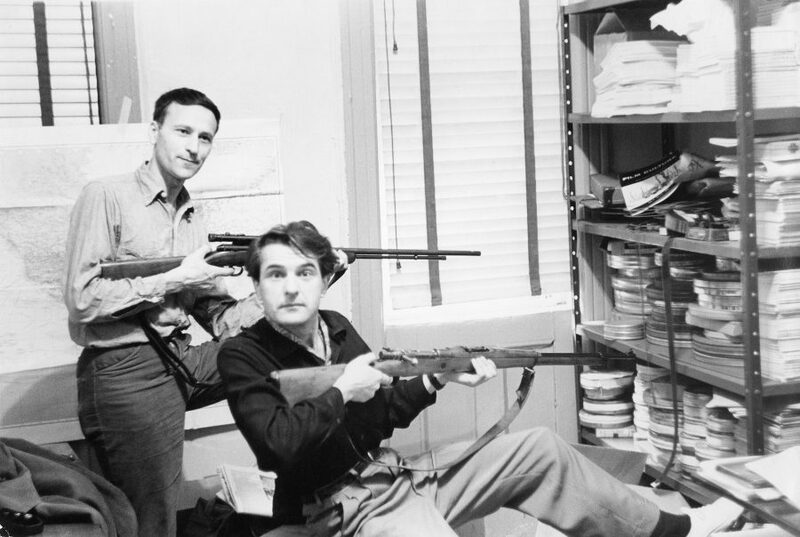 Mekas taking a break from filming his debut feature Guns of the Trees from 1961. The other man is his brother Adolfas, who is the star of the film.